Just like the recent 1812: The Navy’s War, this is another book from my Armchair Audies History category, another book about 19th century US, and another book clearly written by an American for an American audience (e.g. sentences like “the people of this country” and sorry Mr. Goodheard, but, President Garfield who?!). … to get the full story of that moment in American History, it is necessary to go much further afield, to the slums of Manhattan, and the drawing-rooms of Boston, to Ohio villages and Virginia slave camps and even to the shores of the Pacific. It is also necessary to consider people and ideas that were migrating from the old world to the new. It is only then that this defining national event can truly be understood as a Revolution, and one whose heroes were not only the soldiers and politicians. That Revolution began years before the guns opened, as a gradual change in the hearts and minds of men and women, until suddenly, months before the attack on Sumter. (…) One person at a time, millions of Americans decided in 1861 – as their grandparents had in 1776 – that it was worth risking everything, their lives and fortunes, on their country. Eighteen sixty-one, like 1776, was – and still is – not just a year, but an idea. Sorry for the long quote, but I thought it was a great one, and one that can apply to all major events. A non-fiction author that feels like this is half-way towards writing a book I’d really enjoy reading. 1861 might be another of the thousands of books about the American Civil War, but it offers a fresh perspective by staying away from legislative bills and instead following the cultural movements of the day and people who inspired them. The most surprising part for me was understanding the national feelings towards slavery of the time. I realized that even though the North despised slavery they weren’t abolitionists, who were considered dangerous radicals hell-bent on dividing the country. In these early days, Lincoln himself was willing to sacrifice abolition to preserve the Union (*gasp*). From here Goodheart describes how the North came to a position where it was willing to accept (and even welcome) war as the only solution against secession. Lincoln of course couldn’t be excluded from the story, but Goodheart also focuses on almost-forgot figures, like the dashing Elmer Ellsworth (photo), founder of the New York Fire Zouaves regiment, who inspired unprecedented patriotic passion. He also describes how states who were divided between Secession and Union came to a final decision. Ohio in particular went through a fascinating process. There were only a couple of things that didn’t make me give it a 5/5, the most important of which is that the story is told from the Northerners’ perspective and I often wondered about what was going through the minds of their Southern counterparts. Also, Goodheart is prone to unapologetic flights of poetic patriotism that are a bit uncomfortable for someone from a much more self-effacing culture like mine (1861 is the story of Americans who rose up to the situation “not just with anger and panic but with hope and determination, people who, amid the ruins of the country they had grown up in, saw an opportunity to change history.”). About Jonathan Davis’ narration. As I’ve mentioned above, it’s a very passionate book and Goodheart even includes the odd piece of poetry. It’s also full of inflamed speeches and proclamations, so it wouldn’t do to have a flat narration or one that goes the other way and becomes theatrical. I though Davis found the perfect balance. The only thing I have to point out is that sometimes it was hard to differentiate between normal text and quotes – often there was just the slightest hint of change in tone or subtle accent. Probably this doesn’t apply to Davis, but don’t you sometimes have the feeling that narrators are ashamed of using a strong accent (or maybe insecure about it?)? We’re in a non-fiction mood here chez Sleepless Reader, also helped by the Armchair Audies, which are almost at an end. I’ll post and overview and my predictions for the History category early next week. I’m usual curious about anything historical, but I’m afraid I didn’t finish 1812: The Navy’s War. I’ve probably only reached as far as I did (about five of the almost 19 hours) because of Marc Vietor’s narration. The book was clearly well researched by a naval historian in love with his field of expertise, and I’m sure anything of importance about America’s first great naval war was there, but my attention wandered off once too many times. There were almost none of the personal histories that I so love in historical non-fiction, Daughan focusing instead on political and military macro-strategies. It also included extremely detailed descriptions of ship-to-ship combat, which lost me after the first couple of starboard broadside descriptions and lists of the sails which were up during a particular battle. These are the kind of details I really try to understand in the Aubrey/Maturin series – I look at maps and boat diagrams, Google strange naval words – but I just wasn’t as invested in 1812, so got lazy and then disinterested. 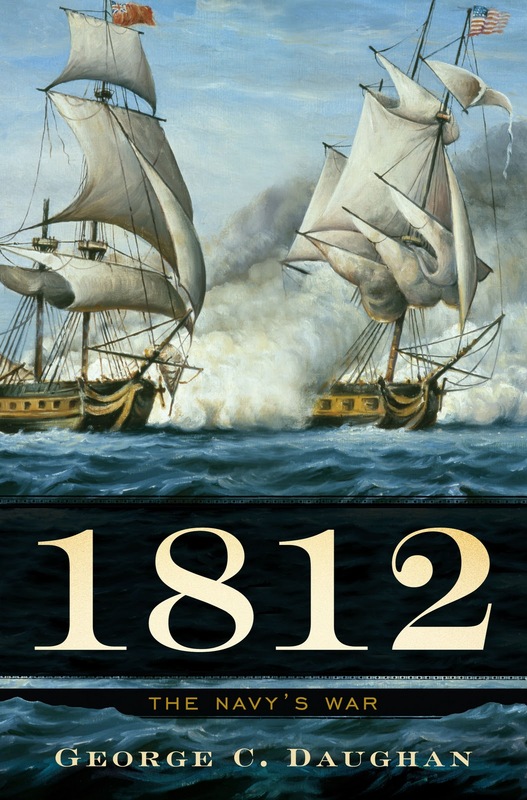 In 1812: The Navy’s War, prizewinning historian George C. Daughan tells the thrilling story of how a handful of heroic captains and their stalwart crews overcame spectacular odds to lead the country to victory against the world’s greatest imperial power. In short, not my cuppa, but I wouldn’t hesitate recommending it to a naval history buff or an America history buff with a thing for naval detail. Regarding the narration (at least the part I’ve actually heard), it must have been an easy book to read – no foreign names or languages, only a quote here and there with no strange accents – but Vietor nailed it without flaw. His voice fitted perfectly with the book because it has a certain… manly low pitch (here’s a sample, notice especially the end of sentences). 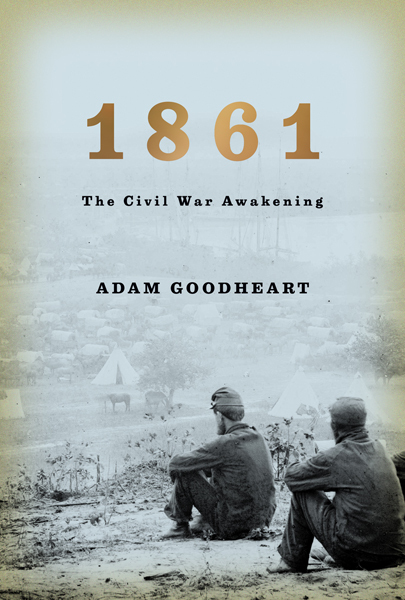 Next stop, another book about American History: 1861: The Civil War Awakening by Adam Goodheart, narrated by Jonathan Davis. At some point in Casablanca, after a conversation about the refugees who’re trying to reach Lisbon, Rick goes “What’s in Lisbon?” and Renault answers “the Clipper to America”. This book is about what was happening in that city during that time and why so many people where trying to reach it. In WW2 Portugal was in a unique and complex situation: it was a neutral country with a large colonial territory and little international influence, it was under a dictatorship that was sympathetic to Hitler’s fight against communism, it had close diplomatic and commercial ties to Britain, was surrounded by Nazi-friendly Spain and was also the main and safest port in Europe to cross to the United States. During those years, Lisbon was a city of refugees, espionage and counter-espionage, negotiations, corruption, scheming, smuggling and counterfeiting. Portugal went from a poor and peripheral country in Europe’s tail to a player of strategic importance in the war theater. 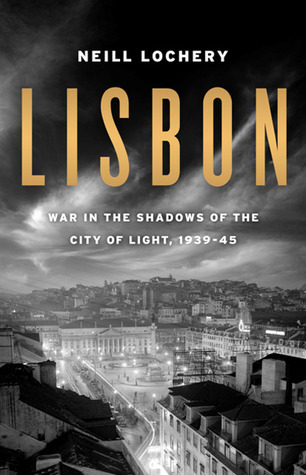 I’d recommend Lisbon: War in the Shadows of the City of Light to anyone with an interest in WW2. Lochery focuses on how Salazar (the Portuguese dictator) out-maneuvered both sides but also paints a compelling picture of the daily life of a city with a fascinating double(or triple)-life. He also maintains a good balance between the macro-history and the personal stories of the locals and refugees who were passing by. It’s a book especially interesting to Portuguese (and Lisboners like me) who would like to know more about a time often over-looked in our history classes. I come from a very left-wing family who tends to villainize Salazar without mercy, but in this occasion I must give him some credit. He played a risky and cunning game during WW2 and achieved his goals: maintain neutrality, independence, territorial integrity and get rich by negotiating with both sides. He kept the Axis happy by selling them precious wolfram (my grandparents worked in one of the mines) and the Allies happy by helping to persuade Franco to remain neutral. He allowed many Jews and other refugees to leave Europe through Lisbon, and Jewish relief organizations to work freely in the capital, but the Portuguese secret police was pressured on both sides to hand over people and occasionally gave-in. The balance of the country hanged by a thread, yet Salazar played the game like the best of them until the end of the War. It was probably the height of his career and, as Lochery also thinks, when he should have counted his blessings, implemented democracy, released the colonies, returned the Nazi gold, and retired to write his memoirs quietly. Instead, he tightened his regime, stagnated the country and eventually entered a colonial War that only ended with the Carnation Revolution of ’74. 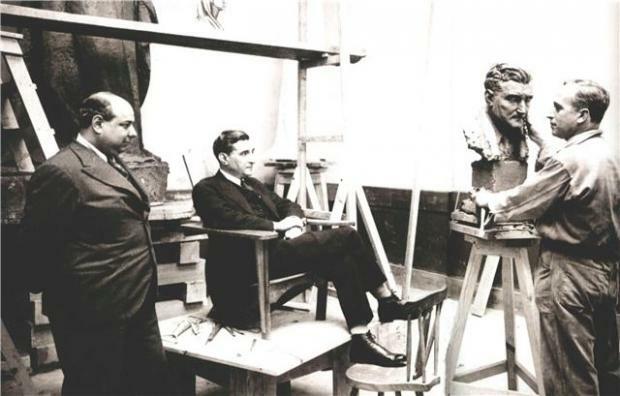 Salazar was considered by many to be the handsomest European dictator. Portugal was one of the only countries to keep its Nazi-gold, most likely through a deal with the US, that in return kept their military base in the Azores Islands until this day. Leslie Howard (Ashley in Gone with the Wind) died in a flight from Lisbon to the UK. Supposedly because the Germans though Churchill was on that plane. Spain was on the brink of invading Portugal during the War. The British, and later the Americans, were on the brink of invading the strategic Azores. During the pre-War negotiations, British Prime-Minister Chamberlain offered Hitler the Portuguese colony of Angola without consulting Lisbon. Portugal was one of two countries that offered official condolences upon the death of Hitler. The other country was (also neutral) Ireland. I’ve only started reading about Portuguese history as seen from foreign eyes in the last 10 years or so. Until then most of what I knew had the official sugar-coat of history classes – the golden period of Discoveries, owning half the world, the brave struggles to gain and maintain independence from Spain, the honor to have the Guinness record for the longest standing alliance between two countries with England. And then I started travelling, talking to people from different backgrounds, reading in other languages (books like this one), and entered a hard process of reality-adjustment that’s still ongoing today. It’s almost like being re-programmed with the growing pains and resistance that come with it. I remember meeting for the first time an Indian at a party in the US and her saying, after I mentioned I was Portuguese, that we had done some horrible things in her region during the Discovery period. Wait – WHAT?! But… but… we were “nice” colonizers! Look at what Spain did in the Americas! We opened trade! We brought civilization and globalization! We discovered you! Like I said, it’s a hard process, but an enriching one. Sometimes people and events I put on a pedestal crumble, and sometimes, someone like Dictator Salazar is shown in a different light. Still, he saved Portuguese lives by keeping us neutral, hurrah for him, but was it the brave and honorable thing to do while other nations fought? He prevented Spain from invading, but also ensured that most of the population was illiterate and compliant. “Orgulhosamente sós“, or “Proudly alone“, was his motto, which reflected his taste for economic and cultural isolation. There’s nothing like travelling and reading to put everything into a healthy perspective and force you to confront those pesky grey areas. In Brussels, city of expats, I’ve had many interesting conversations with people from other countries who are going through the same process of building and re-building old dogmas. 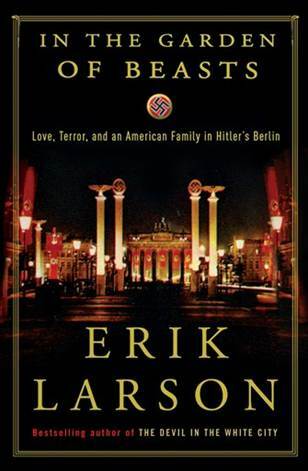 I’ve read many books and watched many movies and documentaries about WW2 and the rise of Hitler’s regime, but this is the first time I get such a in-depth glimpse at the personal experiences of Berlin’s elite at the time. It was also a great book to shed some light into one of the most asked questions in History: how did the World let it happen? 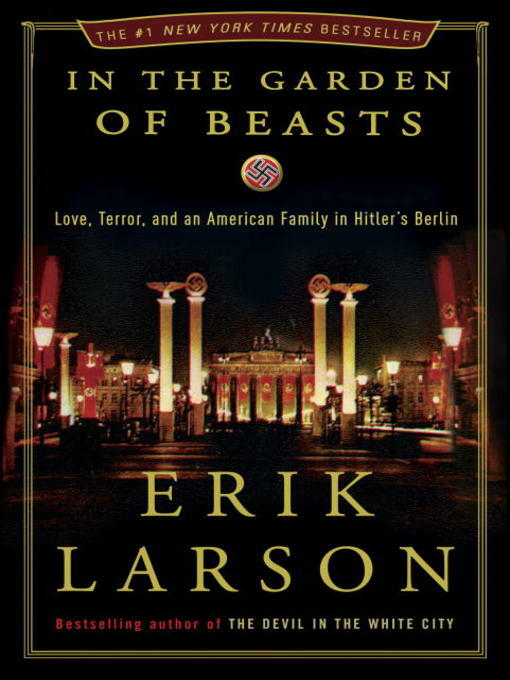 In the Garden of Beasts is an account of William Dodd during his 4 years as the American ambassador to Germany(1933 and 1937). He was an unlikely choice for such a sensitive position: a 64-year old mild-mannered scholar, whose life-long goal was finishing a four-volume History of the Old South. The rest of the Dodd family included his wife, his 27 year-old son and 24-year-old daughter Martha, who was as central to the book as Dodd himself. Martha was a free spirit, who became enchanted with Berlin’s care-free and bohemian life and only slowly came to realize what lay beneath. During those four years, Martha had many prominent lovers, such as the head of the Gestapo, a French attaché and a Soviet undersecretary-come-agent. At some point a common friend though she would be a good wife for Hitler and set them on a date, of sorts (I kid you not!). The documents Martha and Dodd left and that Larson expertly weaves, give us an interesting insight into the personal lives and character of these people. One of the book’s most fascinating episodes was the account of a surreal event at Göring’s country estate, where he shows-off his hunting skills. Other fascinating moments are Dodd’s private meetings with Hitler and other Nazi high-officials. The way they managed to out-smart and counter-argument any accusations are as brilliantly and they are frightening, not least because it’s not difficult to find modern examples of similar smoke-screening tactics. 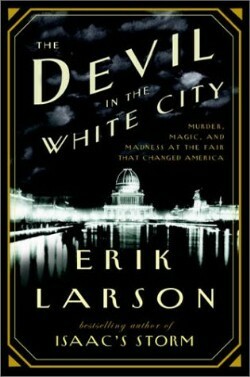 As also obvious with The Devil in the White City, Larson knows his pacing. It’s with skill that he describes the growing tension in Berlin, from the warm welcome received by the Dodds, to the first signs of violence, to the infamous Night of the Long Knives. He also clearly admired Dodd and portrays him as a Cassandra-figure, who tried to break through the propaganda and warn America. Still, I couldn’t but wonder what would have happened with a more energetic, forceful, and better connected ambassador. Dodd was a good man, honorable, an old-fashioned gentleman, but no matter how Larson puts it, Dodd was probably the right man at the wrong time. He spent time and energy worrying about the price of the cables sent by the Embassy, when one of the most terrifying events in human history was happening at his door-step. He also lobbied Washington to cut the number of Jews on him staff, arguing that it would help relations with the German government. And before you say anything, I’m completely aware I’m passing this judgment from the comfort of my 21th-century couch, but I guess we all wonder about what we would do in such a situation. I usually measure the quality of my non-fiction books by the amount of hours they make me spend on Wikipedia. By those standards, it this was a great read. I started with the fascinating concept of gleichschaltung (coordination), meaning the process by which Nazism took control of all aspects of German life, and ended in Göring’s first wife, who’s body he move from Sweden to Germany, to be buried in a stately funeral. 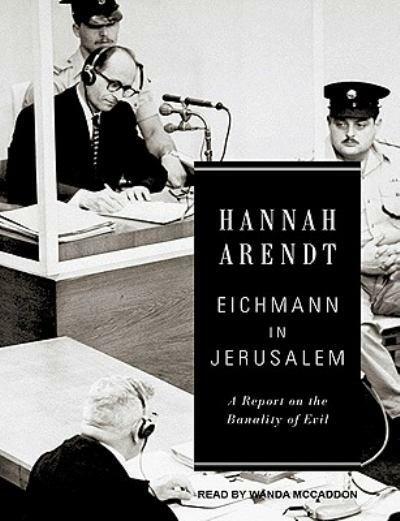 This audiobook is one of the nominees of the Audie Awards 2012‘s History category. It was narrated by Stephen Hoye and produced by Random House Audio. It’s the first time I hear anything read by him, but I hope it won’t be the last. He has great diction, both in English and German, and the type of voice that’s dynamic enough to fit the different moods in the book, from the parties to the tragedies, from Martha’s love letters to Goebbles’ speeches. 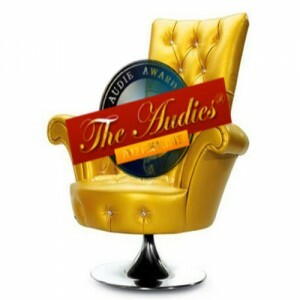 It’s still the first of my Armchair Audies category, but we’re off to a good start. The next one in line: 1812: The Navy’s War by George C. Daughan, narrated by Marc Vietor. Dickens lived until he was 58 and had a busy life, so my congratulations to Claire Tomalin for managing to put it all into 400 pages. Some of the reviews I’ve read criticized how she didn’t include more insight into his era, into his relationship with his sons, his work methods, etc. But I found it the perfect book for someone like me, who was curious about Dickens, but didn’t want to read Peter Ackroyd’s 600-page tome or Michael Slater‘s more academic biography. It felt like a solid overview of his life, well researched and thoughtful. She starts with his problematic childhood then moves on to his early career and seemingly infinite energy, his difficulties in coping with middle-age, the problems brought on by the affair with Nelly Ternan and his ultimate decline. Tomalin doesn’t produce any new and amazing discovery, but she does have good insights into his books (I especially liked her analysis on Dickens’s flat female characters), his inspiration, and how his frantic way of working created both brilliant and weak stories. 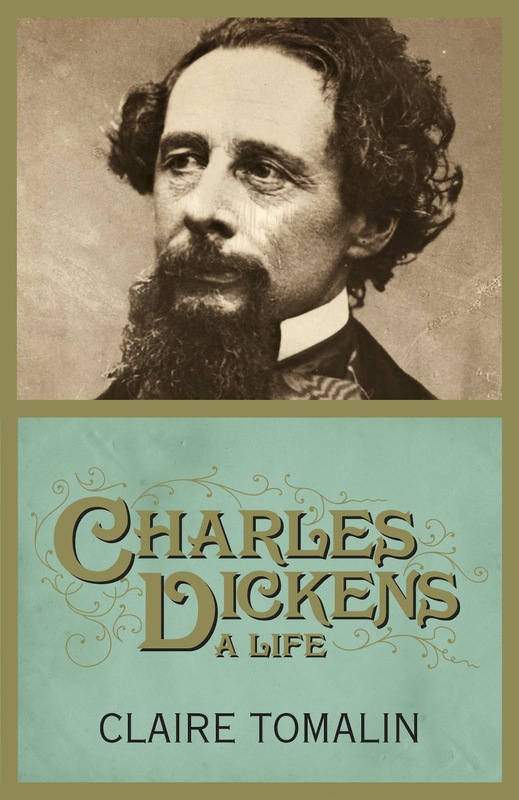 Dickens was always on the move, always busy with dozens of old and new projects. One month after finishing this book, it’s this sense of nervous energy that lingers. She’s pretty hard on Dickens over some episodes, especially on way he treated his wife during the Nelly affair, but I must agree with her. Dickens might have been the hero of England’s poor, and extremely generous, but he seemed to preferred to do good works for strangers, rather than be affectionate to most of his family members, especially his sons. Considering these two sides of his character it’s fascinating to understand how Dickens created and managed his own myth. After his death, Dickens’ daughter Katey wrote she wished someone would correct the general perception of her father as “a joyous, jocose gentleman walking about the world with a plum pudding and a bowl of punch”. I think she would be proud of this biography. Claire Tomalin’s Dickens comes out as a troubled, self-centered, and often mean person, but also a genius of writing, acting and creating emotional responses in general. 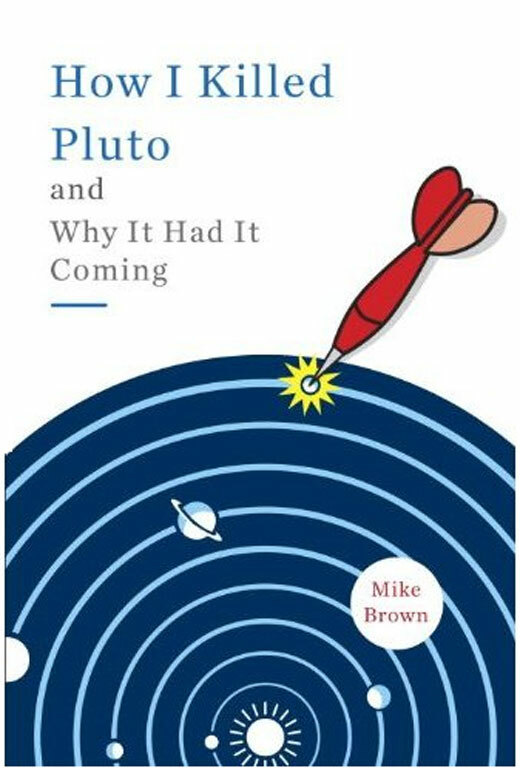 Mike Brown led the team of scientist responsible for Pluto losing its planetary status. They discovered “Xena” (now Eris), which would have been the 10th planet had Pluto kept its status, but instead became its downfall. It’s a fun book full of anecdotes and a good dose of personal stories. Brown in a scientist, but he’s also a husband and a father and he’s refreshingly ok with showing that side of him. How I Killed Pluto is a great insight into the world of professional astronomy in all its glory and dullness. It’s all very exciting discovering a new planet, but let’s not forget the mind-numbing hours following tiny dots of light in endless image-stills to figure out if they’re moving. Brown gets extra brownie points for acknowledging that scientific discoveries are never accomplished in isolation. Instead, he presents it as the work of many very bright and very creative risk-takers swimming against the tide of a long-established dogma. Add to that the academic rivalries (Brown even has an evil nemesis, The Spanish Professor who tried to steal his discovery Muahahaha!) and you have a very entertaining science book. By the end I felt really curious about the day-to-day life implications of downgrading a planet. For instance, how long did it take for school books to make the change? Did some of them include an errata sheet? How did science museums update their exhibitions. Was there a PhD student on the brink of finishing a thesis on Pluto that had to re-write the whole thing? What about astrology, will Pluto in my 1st House no longer mean I “radiate intensity”? What do creationists think about this? And linguists? One of the most interesting parts of the book was when Brown pondered about a planet’s definition: is it based on scientific criteria or just a convention? It’s the same with “continents”. I was taught that “Oceania” was a continent and am always surprised when someone tells me that no, Australia is a continent (don’t Kiwis get pissed with this?!). On the other hand, if what matters are tectonic plaques, then why are Europa and Asia separated? Words matter and Brown’s own questions brought me back to heated debates in philosophy and semiotics classes. The re-definition of Pluto and Eris as “dwarf planets” while the others become “classic plants” sounds muddy even to a non-expert like me – is a dwarf planet still a planet? Brown calls the new classifications “a slew of unscientific clutter”, a sitting-on-the-fence decision created to be comfortable and not change the universe as we know it. But no matter what, Pluto will always be a planet to me. Whenever I recite the planets, I can never stop at Neptune.